Is it blue and black, or white and gold? Black and blue dress, or white and gold? By now, you’ve probably seen (or are tired of seeing) the dress. This dress. The original post was on Tumblr, and has taken the internet by storm. 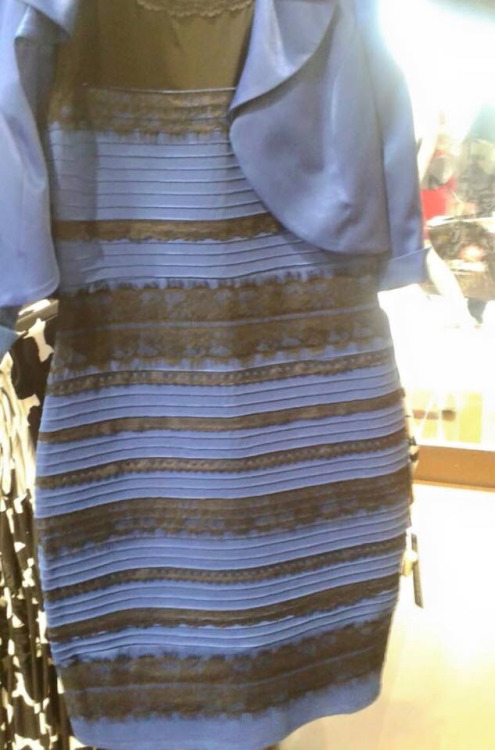 Buzzfeed is taking an internet-wide poll (72% white/gold and 28% blue/black as of 8:24 AM this morning). Several sites have published the scientific reason why not everyone sees the same colors. You can check out the article from Wired.com, and the article from Gizmodo.com that has even more science and the picture of the dress from another camera. This isn’t the first time that color and lighting have tricked our eyes. 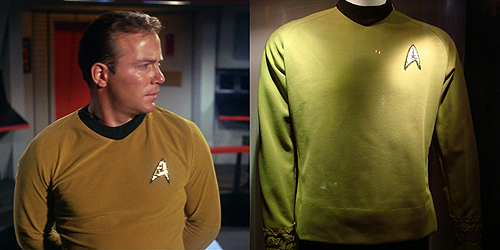 Remember Captain Kirk’s shirt in the original Star Trek series? It looked gold, but it was actually a green color, due to the television lights. We found a great explanation for this, and it was actually done on purpose. Taken with a Panasonic DMC-FZ60 on the manual setting, no photo retouching and no flash to capture the most accurate representation, and they don’t even match the pictures taken of the costume! So what can we learn from the blue dress/white dress argument? 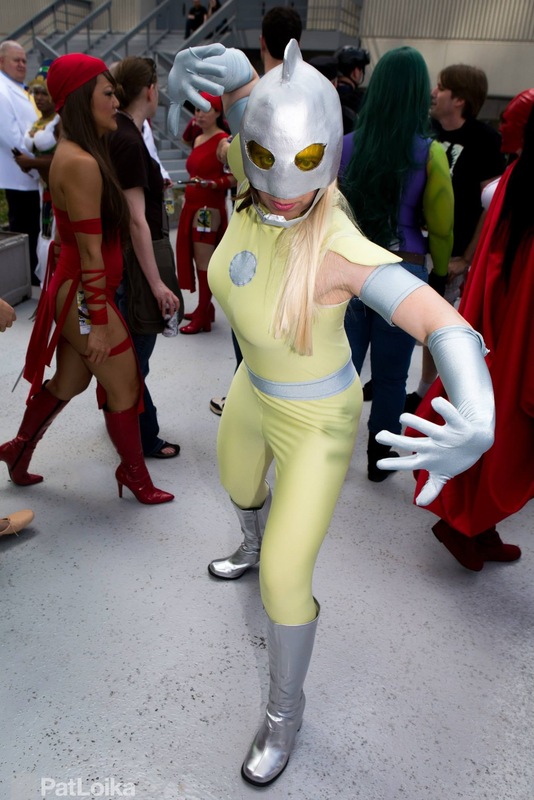 As costumers and cosplayers, we try to find the right fabric AND the right color to make our costumes come to life. And while the blue dress/white dress is an extreme case, it’s always a good idea to keep in mind that your fabric might look different in the store and at the convention. Our tip? Check your fabric colors in the environment where the pictures will be taken. We knew that most of the Moonstone photos would be taken outside, so it worked out for us. If you aren’t sure, ask for a swatch. Most fabric stores will be happy to cut off a small piece for you, and all online fabric sites will ship swatches for a small fee (sometimes even free!). Whether you see a blue dress with black trim, a white dress with gold trim, or another color combination completely, we can all agree that no one sees colors exactly the same way, which makes interpretation half the fun of cosplay! I had no idea the ugly gold command TOS uniforms were “actually” green. Not sure if either is particularly attractive, though…. My friend and I did a Black Canary/Huntress cosplay shoot last year, and we were very upset when her costume showed up blue instead of purple!